Luxury living AMAZING MOUNTAIN VIEWS! Just RENOVATED!!! 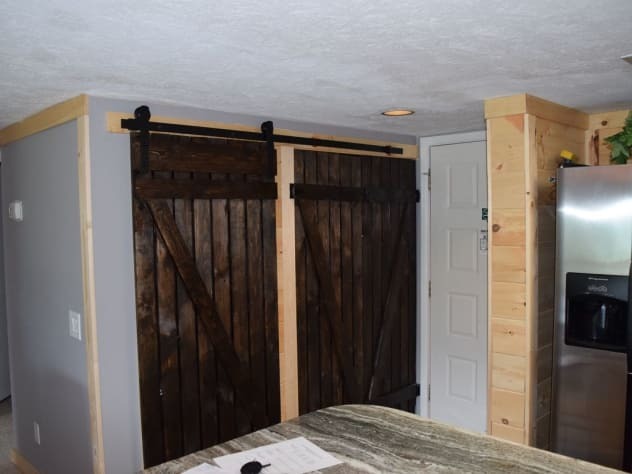 2 king beds/2 bath Luxury living. Indoor pool, view, and more. 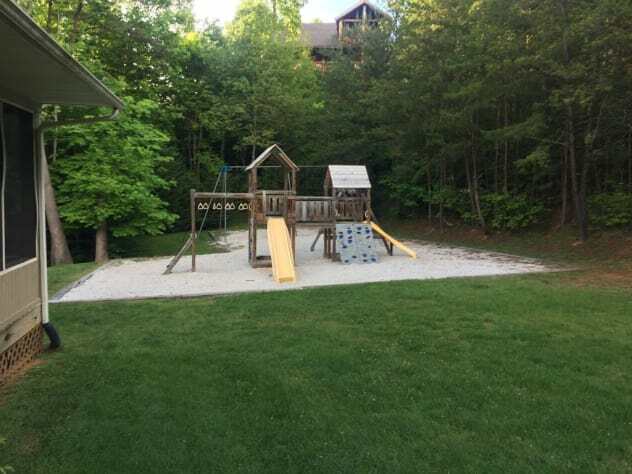 Newly renovated, ground level 2 bed/2 bath unit sleeps up to 6. Comes with king beds in both bedrooms as well as a queen pull out (memory foam mattress) couch in the living area. 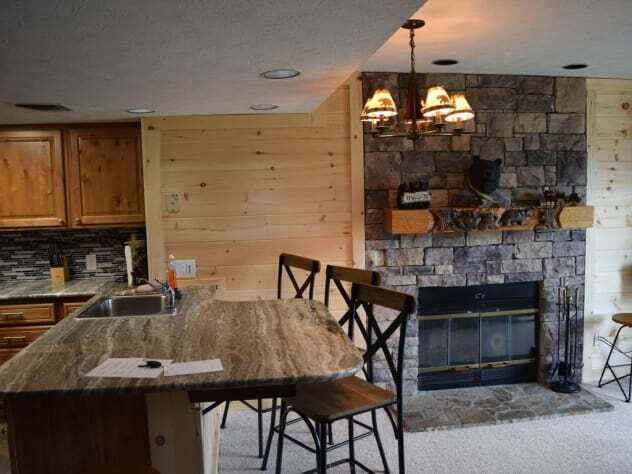 This property has a fully equipped rustic, yet modern kitchen; wood burning fireplace in living area with cozy seating and large, smart, flat screen TV; and private balcony providing amazing views of The Smoky National Forest with Bent Creek Golf Course in the foreground. 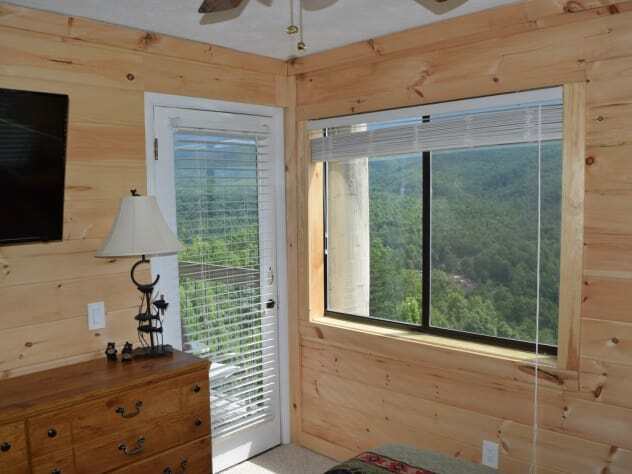 Watch the incredible rapidly changing mountain views from the balcony, bedroom, or picnic area. Mountain sunsets are incredible. Enjoy the lights of Gatlinburg and Ober Gatlinburg in the distance. 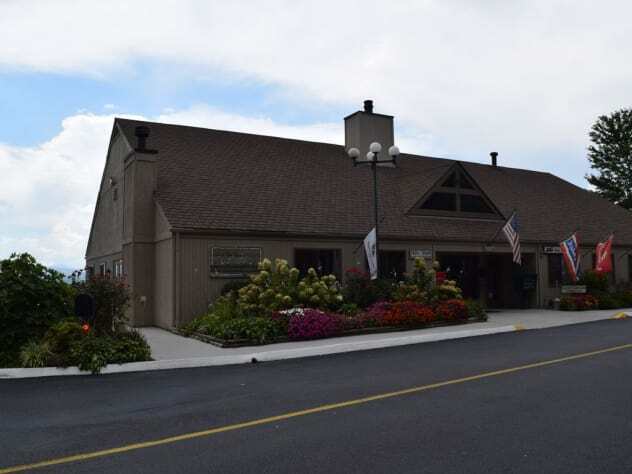 Convenient to Gatlinburg, Pigeon Forge, Great Smoky Mountain National Forest or just enjoy a relaxing get away. 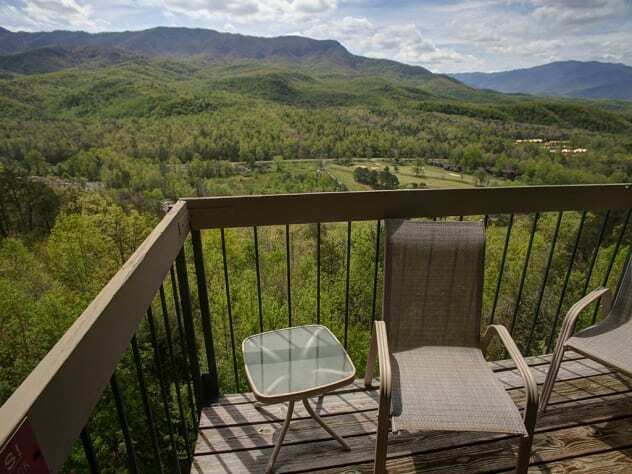 Think of Smoky Mountain Retreats and this property for you next Smoky Mountain vacation. 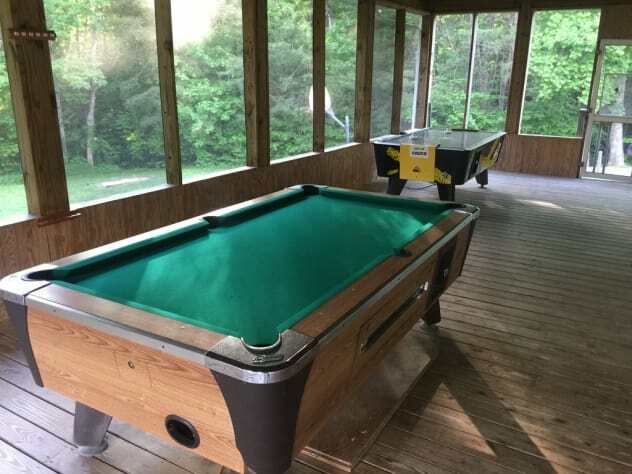 Perfect get-away for family or friends. Sleeps 6 comfortably . 2 rooms + sleeper sofa if needed in living room. 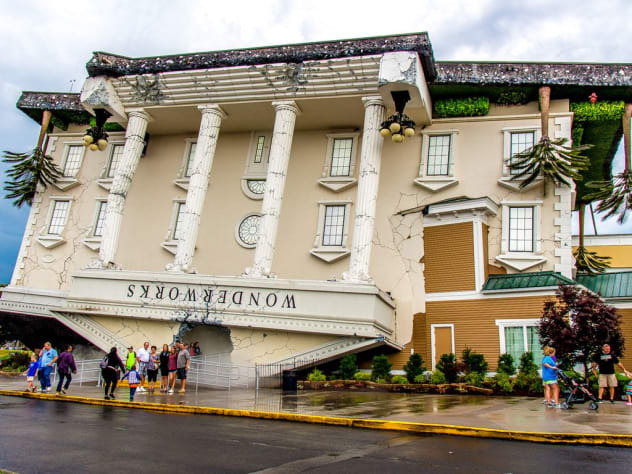 Convenient to Smoky Mountain national part, Gatlinburg, Pigeon Forge (Dollywood). 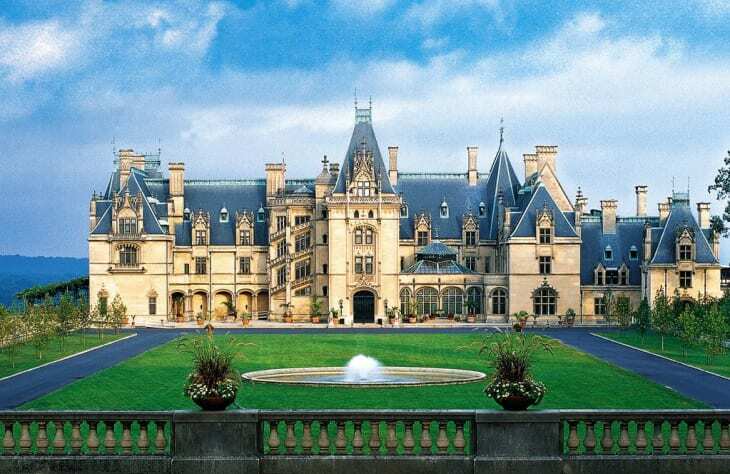 Short day trip to Cherokee casino or Biltmore House. 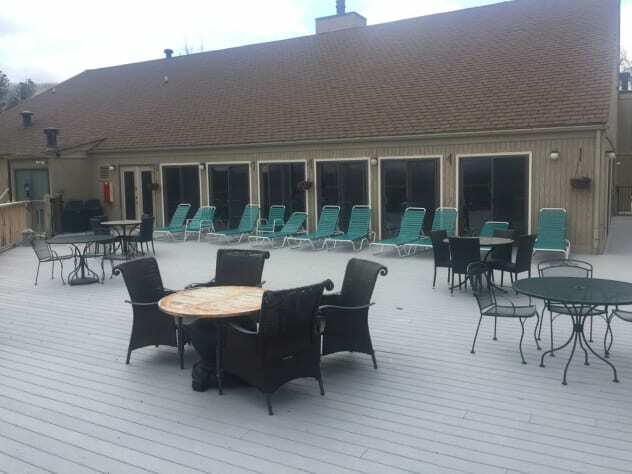 Lots to do with access to indoor pool, sauna, even a private bar for guests. Lots of wildlife we often see a family of deer and on occasion we will see a black bear and her cubs. 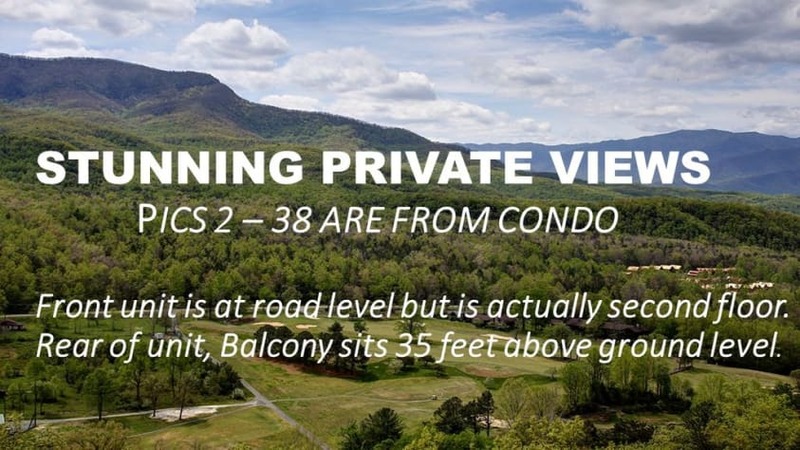 In addition to condo amenities our neighborhood hosts 3 pools, golf course, and for larger events ability to rent space from the neighborhood HOA office at the very top of the mountain. We purchased this property on April 30th, 2018 and planned 3 stages of renovation. Phase 1 renovation - completed May 24, 2018. Upgraded TVs in all rooms 42" & 49" flat screens. Smart TV in living room and 1 bedroom. Added side by side stainless steel refrigerator with ice maker, converted coat closet to pantry, upgraded owners closet for more storage, upgraded double bed to king size bed. Ordered materials for phase 2 renovations. Phase 2 renovation COMPLETED JULY 3, 2018. 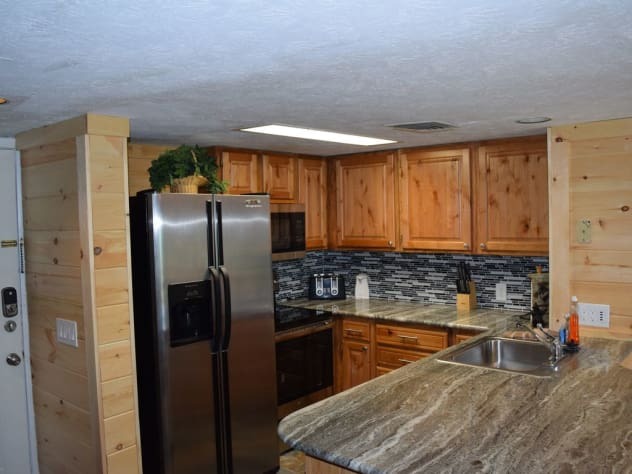 Expand kitchen, replace counter tops with granite, new cabinet faces, tile kitchen, tongue and groove knotty pine accent walls. Phase 3 upgrade COMPLETED August 30th, 2018. 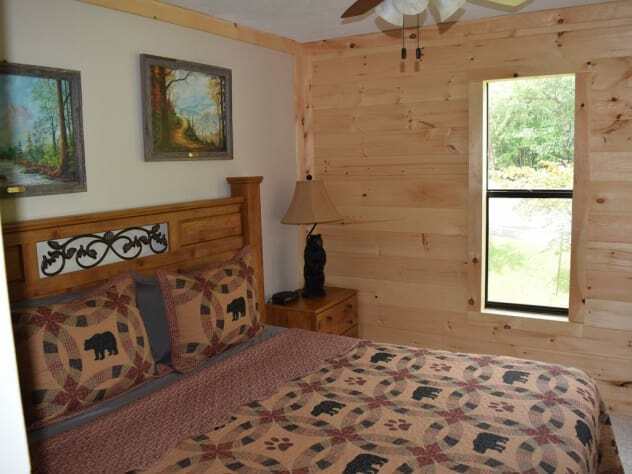 BRAND new appliances (stove, dishwasher, microwave), added beautiful tongue and grove knotty pine to guest bedroom. Painted entirely. Replaced doors in kitchen. Added wifi controlled locks. Upgraded electrical. The view was amazing, the price was right in our budge! It was close enough to everything we wanted to visit but was on a beautiful wooded mountain. Highly recommend, especially with children. 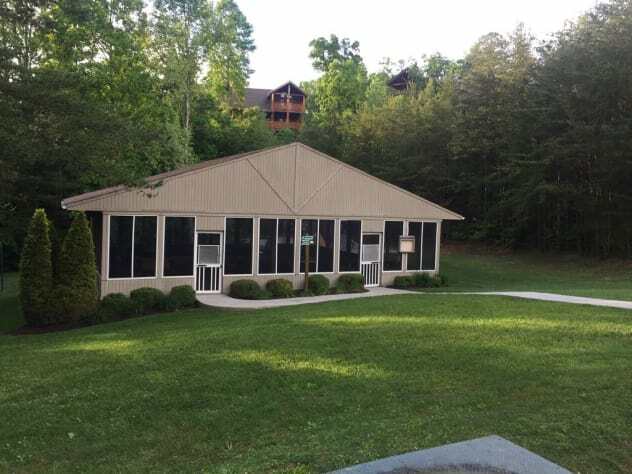 great condo........plenty of room for us both......and CLEAN!.....comfortable beds....3 televisions with Netflix.......and there's no doubt....the view is awesome......short 15/20 minute drive into Gatlinburg......we'll be back! 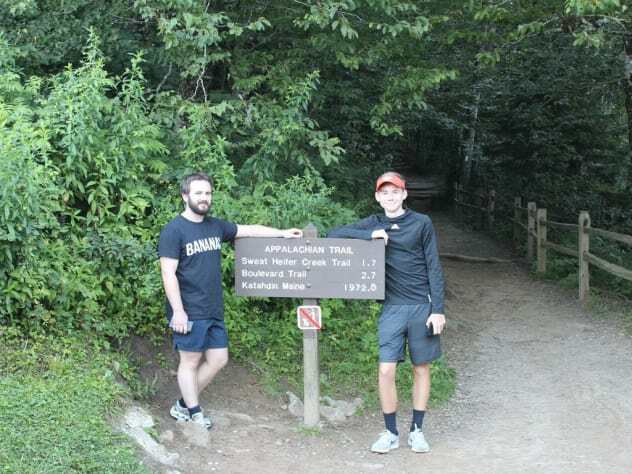 We wanted somewhere that was close to the Smokies but reasonably priced - we got this and more!!! 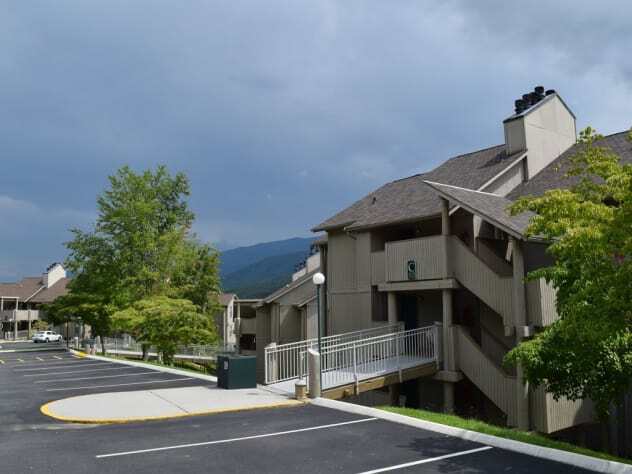 It has MAGICAL views of the mountains, with only a short drive to the township of Gatlinburg. It is clean, quiet and has had a modern update. The spa was awesome and the owner gave simple and easy instructions - a pleasure to deal with. The only downside is we wish we could have stayed longer!! What a gem! First, Deer Mountain Ridge condos are fantastic. 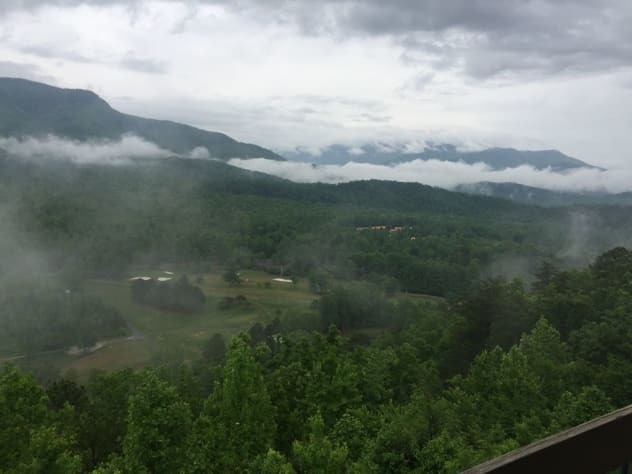 Yes, it's a 15 minute drive into Gatlinburg (the opposite direction of Pigeon Forge), so it's a calm comforting drive taking in the scenery with zero traffic. 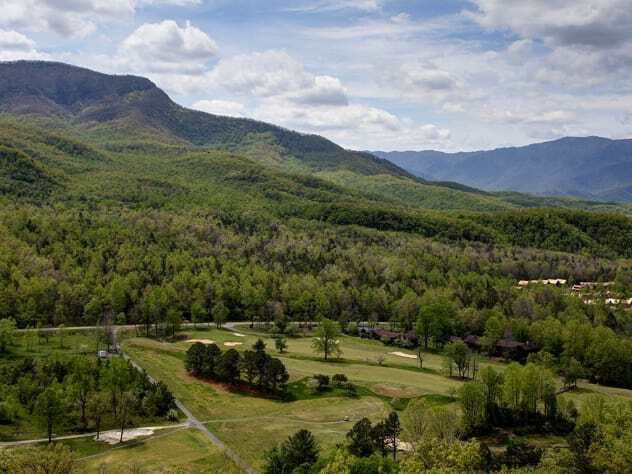 Next, it's right across the ridge from the Great Smoky Mountain National Park. There is NOTHING blocking you from having the mountains right in your face with all their amazing glory every morning. Second, as for this condo in particular.... Ed is a sweet owner that was more than accommodating for our stay from the beginning. Even with my family and our crazy calendars. He was flexible with checking in and out and any recommendations we had. 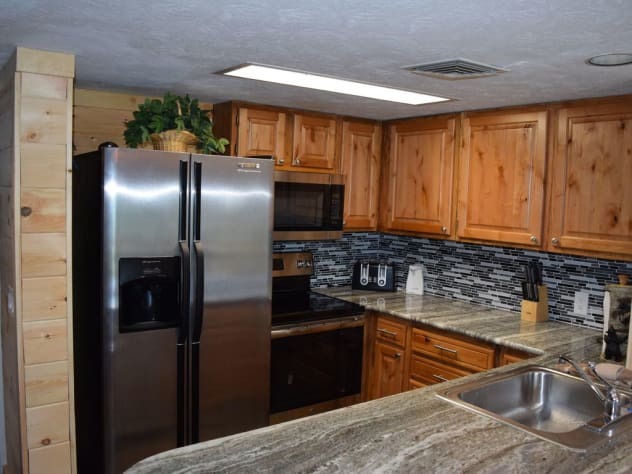 The condo is updated and I loved having a kitchen with updated appliances, stone counter tops and a longer bar. The kids loved it for eating breakfast etc. It was nice having updated TVs in all the bedrooms (Netflix -yesss), and king beds in both bedrooms, plus two bathrooms. I need my space and my kids need there's. Last, the resort itself is fantastic! They staff is so cordial and accommodating. 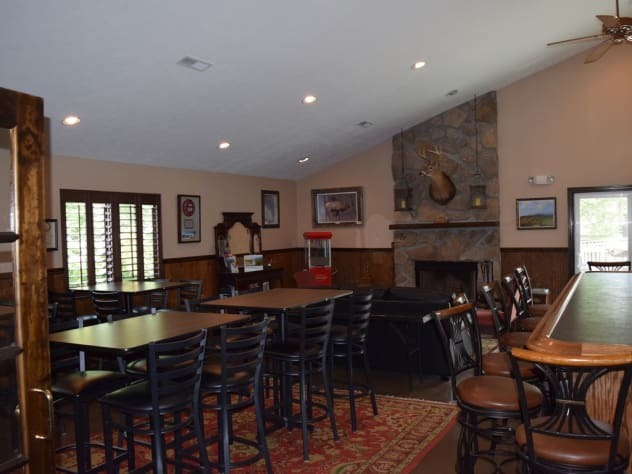 They have a lounge that serves food at fantastic prices compared to anywhere else in Gatlinburg. Trust me, after a long day of hiking sometimes the last thing you want to do is cook dinner or leave your condo and you don't have to do either..and the food is great! 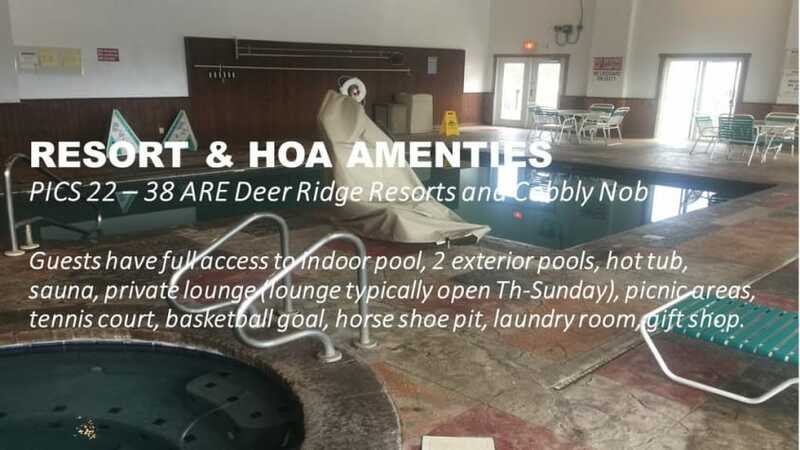 The kids loved the indoor pool which has a nicer clubhouse than some of the other places we have stayed where the pool felt like it was in a closet, out of place and not open to the rest of the facility. 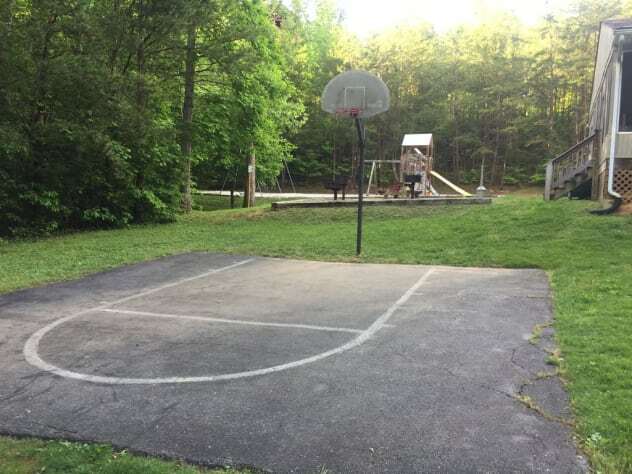 Nice open patios, nice area for grilling, playground, tennis courts, and great areas to walk around and take in the scenery. All our other guests were great too. Everyone was friendly, welcoming - we didn't have anyone too stuffy or too obnoxious. Overall it was a great vacation and we will definitely be back! Great place! Clean and comfortable. We thoroughly enjoyed our time here. The views are spectacular! The place was very clean, the beds and all furniture were very comfortable. All kitchen utensils were present (except a corkscrew but I always pack one). It’s a little tricky to find at first, but we figured it out. Setting our gps for Deer Ridge Mountain Resort got us there. We would definitely stay here again. The condo is being updated and was nice. We had some trouble getting inside condo but owner was responsive and we were able to get in after about 30 minutes with help of onsite maintenance. The condo was clean, well decorated and comfortable. 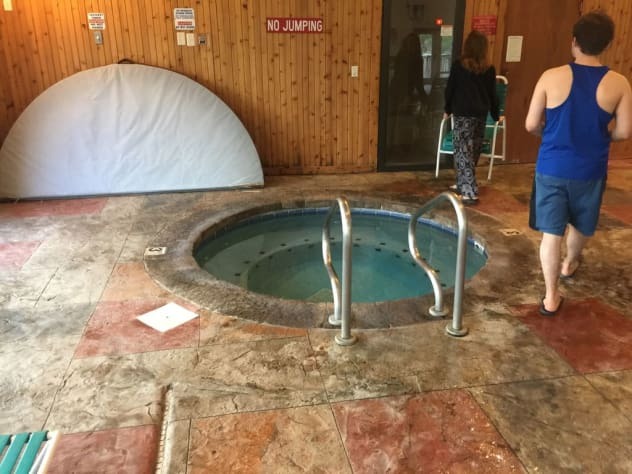 The indoor pool was very crowded and my husband got bacterial infection from the hot tub so I don’t recommend using it, especially if it’s getting frequent usage by dozens of people. There was some sort of water leakage problem around bathroom electrical outlet which was concerning. Otherwise, we enjoyed our stay and would recommend it. We had a really great time staying here. Everyone was very friendly and the views are awesome! We cant wait till we can come back and stay again. We couldnt have had a better stay.. This condo has been nicely renovated. Plenty of space for our family and we loved the area and the complex. Ed & Janan are wonderful hosts. Would recommend their properties to anyone traveling to the area. The condo was really nice. The bedrooms are huge and the beds were very comfy! The sofa bed needs a little work but it'll do in a pinch! The renovation projects that are ongoing don't hinder your stay at all. The views from the deck are amazing! 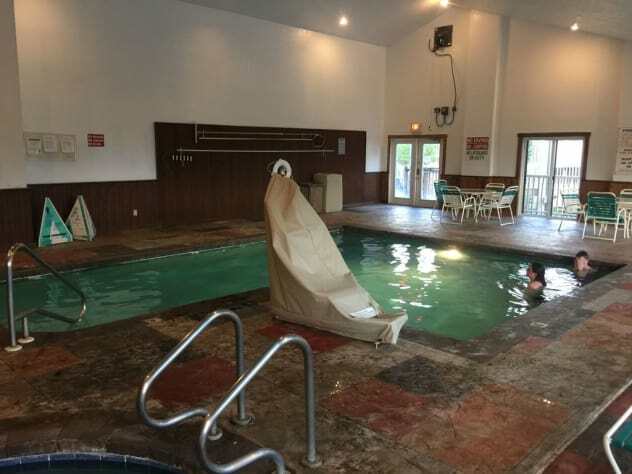 The indoor pool is just a short walk away. Overall, we had a wonderful weekend and would definitely stay here again! A relaxing, beautiful, clean place to spend a vacation. The place has an amazing view from the balcony. Feels like the owners a have put some thought and effort in to making sure their guests have everything they need on a vacation. The beds were very comfortable. Overall the place was well decorated, cozy and comfortable. We thoroughly enjoyed our stay there.